Jan. 25, 2019 – Are YOU for Single Payer? We’ve been getting reacquainted with snow and other forms of precipitation in Western New York this week. Water is essential to life, but like so many other substances there can be too much of a good thing, and excess can lead to significant problems. Indeed, MSSNY and the New York State Academy of Family Physicians suffered from the consequences of Mother Nature’s intemperance. Travel was challenging over the weekend and the NYAFP leadership thoughtfully curtailed the end of their Scientific Assembly meeting to allow safe travel for their members. NYSAFP provided an excellent review of many clinical topics. I provided an update on the changing legislative landscape within New York State. Subsequently, NYSAFP President Marc Price and I had a fireside chat with the attendees to discuss various items of concern to our memberships. NYSAFP and MSSNY are in policy agreement with the vast majority of issues. Our organizations have had a long standing difference in support for a single payer healthcare system. MSSNY has long standing policy against endorsement of single payer, but in 2017 directed our leadership to engage in discussions that would be beneficial to patients and physicians. NYSAFP has had policy for single payer for a number of years. Both of us agree that the devil is in the details. The New York Health Act continues to be modified by its primary sponsors, Assemblyman Richard Gottfried and Senator Gustavo Rivera. Senator Rivera indicated to me earlier in the week at a public event that he planned on further refinement of the bill to address the concerns of his constituents. Assemblyman Gottfried indicated earlier this week that he was attempting to address some of MSSNYs concerns based on discussions we had in the fall. I emphasized to the assembled group the importance of continuing the dialogue to improve policy for our patients and members and to shape the healthcare environment for our patients and our practices. There are a number of other items under serious discussion with the Governor and Legislature, including the legalization of some hydrophobic substances currently prohibited by law. NYSAFP and MSSNY are in strong agreement with regards to equity in law enforcement, and high quality research regarding the risks and benefits and long term effects of a certain oily, herbal substance with psychotropic activity before further expansion of its availability. I believe we are at one of those tipping points in our state and country. We (MSSNY, NYSAFP, our other specialty societies, and you personally) have a professional duty to inform the discussions and decisions of our elected officials during their deliberations. Join me in Albany March 6th as we meet our elected leaders to share our concerns and policy recommendations for the health and welfare of our patients and fellow citizens with the unique insight we have caring for individual patients and informed by the basic and clinical science we employ on a daily basis. Some former members have voiced that our efforts are inconsequential, that NY is run by “ three men in a room.” There may have been some truth to that in the past, but “the times they are a changing.” The 2018 election has changed the dynamics substantially and as noted above we have substantial input into the discussion. Our political leaders are now seek our thoughts on how to proceed with these difficult questions. Our MSSNY Leaders and our excellent Government Affairs staff continue with ongoing discussions with Assembly and Senate leaders and the Governor’s Management Team. We continue to seek other healthcare allies in our discussion. 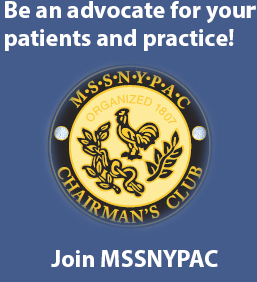 You can empower our patients and our profession further with your help in Albany and at home. Remember together we really are stronger! With nearly 40 newly elected legislators in Albany, the need for physician advocacy and grassroots involvement is greater than ever. With so much new representation, it’s vital for physicians to forge new relationships, as well as strengthen existing relationships to ensure the physician community’s message is heard about policies that could impact patient care. Proceed very cautiously on paradigm shifting proposals such as legalization of recreational marijuana (proposed in the State Budget) and creating a single payor health insurance structure. Support legislation to reduce excessive health insurer prior authorization hassles that delay patient care. A brief informal luncheon to which members of each House are invited to speak with their constituents will follow the morning program. County Medical Societies will be scheduling afternoon appointments for physicians to meet with their elected representatives. As reported last week, Governor Andrew Cuomo has formally announced his proposed $175 Billion Budget for the FY 2019-20 Fiscal Year that would close a $3 billion Budget deficit. Increase from 18-21 the legal age to purchase tobacco and e-cigarettes; Ban flavored liquids and sales in pharmacies (See Dr. Madejski’s statement of support here. Regulate the practices of Pharmaceutical Benefit Managers (PBMs). Assuring comprehensive health insurance coverage for those suffering from a mental health condition (MH, SUD or autism). Prohibit pre-authorization for Medication-Assisted Treatment (MAT) to address opioid addiction. Extension of the Excess Medical Malpractice Program for an additional policy year. Reduce the current 9% interest rate on court judgments, which could have the effect of reducing liability premiums for physicians. Create a statewide Maternal Mortality Board with necessary confidentiality protections. Cuts Medicaid payments for the deductibles of “dual eligible” patients, which could have a significant adverse impact for those physicians whose patient mix includes a substantial number of Medicare/Medicaid dual eligible patients. Send a letter to your legislator here. Legalize the sale of recreational marijuana to those 21 and over. Expands the existing medical marijuana program to add additional health conditions which would be eligible for “Medical Cannabis”. Permit Nurse Practitioners and licensed social workers to treat injured workers and be directly reimbursed under Workers Compensation without coordination with a physician. Repeal “prescriber prevails” protections for prescriptions for Medicaid FFS patients that are not on the Medicaid formulary. Location of stores– Selling marijuana without a license is prohibited. Stores must be located at street level, be or a public thoroughfare, or on an arcade or “sub-surface thoroughfare leading to a railroad terminal.’’ They must be certain distances away from schools and houses of worship. The New York State Legislature passed the Reproductive Health Act on January 22, 2019 and it was immediately signed into law by Governor Andrew Cuomo as Chapter 1, Laws of 2019. Assembly Bill 21 and Senate Bill 240, sponsored by Assemblymember Deborah Glick and Senator Liz Krueger, amended the public health law by codifying the abortion procedure within New York State’s public health law and removing it from the penal law. The bill passed the NYS Senate by a vote of 38-24 and the NYS Assembly by 95-49. The law creates a statement of purpose and says that an abortion may be performed a licensed, certified or authorized practitioner acting within their defined scope of practice under Title 8 of the Education Law. Under the law, an abortion can be performed within 24 weeks from the commencement of pregnancy, an absence of fetal viability or at any time when necessary to protect a patient’s life or health. “The Contraceptive Equity Act” has passed the NYS Legislature. Assembly Bill 585-A/Senate Bill 659-A, sponsored by Assemblymember Kevin Cahill and Senator Julia Salazar, requires health insurance policies to include coverage of all FDA-approved contraceptive drugs, devices and productions. The bill also requires insurance coverage for emergency contraception when prescribed or when lawfully provided over the counter and allows for dispensing of up to twelve months of contraception. The bill would also require coverage of voluntary sterilization procedures for women and men and would require coverage for patient education and counseling about contraception. The New York State Legislature will be considering a series of firearm safety measures next week. Senate Bill 2448, sponsored by Senator Luis Sepulveda, would prohibit the possession, manufacture and transport of rapid-fire modification devices which are commonly referred to as a “bump stock” mechanism. This legislation is on the Senate Codes Committee for its consideration on Monday. Its companion measure, A.2684, sponsored by Assemblywoman Patricia Fahy is also on the Assembly Codes Committee. Senate Bill 2374/A.2690 sponsored by Senator Michael Gianaris and Assemblymember Amy Paulin, would establish a waiting period before a firearm, shotgun or rifle can be sold or transferred. The bill requires either the National Instant Criminal Background Check System (NICS) or its successor to issue a “proceed” response to the licensee or a 30 day waiting period to expire. The measure is on the Senate and Assembly Codes Committee for action. At its 2018 House of Delegates, the Medical Society of the State of New York enacted policy that supports legislation that blocks the sale of any device or modification, not limited to bump stocks, that functionally converts a firearm into a weapon that mimics fully-automatic operations. MSSNY also supports legislation that requires a waiting period and background checks prior to the purchase of firearms, including person-to-person transfers, internet sales and interstate transactions. Also coming before the Senate Judiciary Committee is S.2451, sponsored by Senator Brian Kavanagh. Its companion measure Assembly bill 2689, sponsored by Assemblymember JoAnne Simon, is on the Assembly Codes Committee. This week the Empire Center for Public Policy held a widely attended seminar in Albany at which legislators and industry experts discussed the provisions and ramifications of the New York Health Act (NYHA), as well as possible alternatives for achieving universal health care. NYHA bill sponsors Senator Gustavo Rivera and Assemblyman Richard Gottfried presented their case for a single-payer system, including the articulation of their goal to assure coverage for the currently uninsured and underinsured by re-directing the enormous amount of health care dollars that currently goes toward administrative spending. In response, representatives of HANYS and the NYS Conference of Blues Plans raised significant concerns with the legislation, including possible ERISA pre-emption and the elimination of employer-funded insurance as an option for patients. They also noted that, while the goals of expanded coverage are agreed to by many, the “devil is in the details” regarding how such a program would be constructed and implemented. Assemblyman Gottfried and Senator Rivera indicated a revised NYHA bill would be introduced soon, including provisions to clarify that pre-authorization requirements for needed care would be no more burdensome that what is currently imposed by Medicare (a concern raised by MSSNY). The Empire Center’s health policy director Bill Hammond noted that the NYHA would require a significant tax increase which could be greater than $139 billion (plus long term care) suggested by a recent Rand study. Hammond also presented information outlining how New Yorkers would be affected financially. Hammond also noted that, while many people would pay less for health insurance, many from across financial strata, would pay more. In fact, Hammond noted that many of those that would pay more would be low- and middle-income individuals and families. The second panel, moderated by Hammond, was comprised of Eric Linzer, CEO of the NY Health Plan Association, Michael Sparer, professor and Chair of Health Policy at Columbia University, and Michael Capaldo, a board member of the NYS Association of Health Underwriters. MSSNY’s next Medical Matters webinar is entitled What’s Your Diagnosis? Psychological First Aid. This is a newly formatted interactive program that is more immersive for participants. You will be asked to answer questions about a case and discussion will follow. Find out if you’re fully prepared to include psychological first aid during a public emergency on February 20th at 7:30am. Registration is open for this program here. 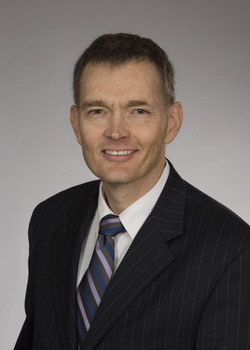 Faculty will be Craig Katz, MD, co-vice chair of MSSNY’s Emergency Preparedness and Disaster/Terrorism Response Committee. The Albany (NY) Times Union (1/17, Mendoza) reports the Albany, New York area “saw a significant jump in funding for biotech research last year from the National Institutes of Health,” according to the Albany-based Center for Economic Growth. The center found that the NIH “directed $62 million in funding to 20 institutions across an eight-county area,” a sum that “is the most the area has received from the NIH since 2013.” According to the article, “More than half of the Capital Region’s federal life sciences research and development funding comes from the National Institutes of Health,” an infusion that researchers regard as critical to scientific institutions. An observational study published in JAMA Network Open analyzes the link between how much money pharmaceutical companies spend marketing to doctors and opioid overdose death rates a year later. The companies spent nearly $40 million to market their medications to U.S. doctors between 2013 and 2015. The researchers who conducted the JAMA study looked at more than 2,000 counties across the United States to see whether overdose death rates changed in the year after doctors in the area received payments and/or marketing material from opioid manufacturers. The counties that got more marketing attention did later experience higher overdose death rates. The study authors point out that prescription opioids account for about 40 percent of all overdose deaths and, more importantly, are the first opioid a person typically encounters. While most overdose deaths are related to illicitly obtained opioids, mainly heroin and fentanyl, the authors say using prescription opioids first may lead to OD deaths from any type of opioid. Although the study did not prove causation, it does show that pharmaceutical companies and doctors may play an unexpected role in the opioid epidemic, and it raises questions about how the U.S. health care system could more effectively address the opioid crisis. The PCSS-MAT Half-and-Half Medication Assisted Treatment (MAT) waiver training course provides an overview of the FDA-approved medication—buprenorphine—prescribed for the treatment of opioid use disorder (OUD). This course provides the required 8-hour training to prescribe buprenorphine for the treatment of OUD. The course provides an overview of prevention, identification, and treatment of substance use disorders emphasizing OUD. d. A pathway to highly specialized and elite physician programs and teams like Special Operations Surgical Teams (SOST), Critical Care Assessment Teams (CCAT), Ground Surgical Teams (GST), Center for Sustainment of Trauma and Readiness Skills (CSTARS) and many, many, more growth and career broadening pathways. 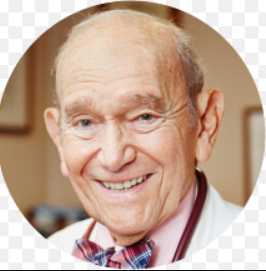 MSSNY Past President Ralph Schlossman, MD, 88, died at his home surrounded by his wife of 64 years, Ruth, family and friends on January 17, 2019. Interment was on, January 20 at Mount Hebron Cemetery. He graduated from New York University School of Medicine in 1955 and joined the Medical Society of the County of Queens in January 27, 1959. Dr. Schlossman became President of Medical Society of the County of Queens in 1970-1971 and President of Medical Society of the State of New York in 1998-1999. He was MSSNY Councilor from 1984-1992. He was elected to the Board of Trustees in 2000 and served on it until 2005 and he was Chair of the Board from 2004-2005. Dr. Schlossman received the Medical Society of the State of New York’s most prestigious award, the Henry I. Feinberg Award for leadership. Dr. Schlossman served in the United States Air Force from 1956-1958 and was Chief Flight Surgeon 31st Tactical Fighter Wing and Commander of 31st Tactical Hospital. He was proud of his service in the U.S. Air Force, becoming the flight surgeon of a wing of the first generation of supersonic fighter bombers and one of the first physicians to fly faster than the speed of sound. Dr. Schlossman and his wife Ruth have three children Andrew, Wendy and Marcie. The Family requests contributions may be made to Hadassah or Wounded Warriors Project. The new Medical Fee Schedule will be effective for services provided on or after April 1, 2019. The Board adopted the use of ICD-10 October 1, 2015, as previously announced in Subject Number 046-785 Chair Announces Adoption of ICD-10. Therefore, effective April 1, 2019, the Board will require full compliance with ICD-10. The Workers’ Compensation Medical Fee Schedule is published by Optum Insight. Copies may be obtained by mail, telephone, or online. By telephone: Call (800) 464-3649, option 1. Online: Go to www.optum360coding.com, keyword New York, or https://www.optum360coding.com/Product/40508/. On January 4, 2019, physician leaders of the Medical Society of the County of Erie (MSCE) met with several key local legislators representing Western New York in Albany and Washington. Participating Senators and Assembly Members included Senator Patrick Gallivan, Ranking Member of the Senate Health Committee on Health, and Assembly Members Angelo Morinello, Michael Norris and Monica Wallace. Also participating were top staff from Senator Michael Ranzenhofer, Senator Tim Kennedy, US Representative Chris Collins and US Representative Brian Higgins. In anticipation of the 2019 legislative session, two important topics were discussed – physician concerns with proposals to legalize recreational marijuana (proposed in the Governor’s Executive Budget) and legislation to create a statewide single-payer insurance program. MSCE representatives included: Drs. Robert Armstrong, Secretary/Treasurer MSCE; Rose Berkun, Chair Legislative Committee MSCE (and MSSNY Legislative Committee Vice-Chair); Gale Burstein, Erie County Health Commissioner and Chair of Public Health Committee MSCE; John Gillespie, President MSCE; Kenneth Eckhert III, President-Elect MSCE; Gordon Tussing, Chair Practice Management Committee MSCE; Willie Underwood, Immediate Past President MSCE; Joseph McCarthy, Esq., MSCE Counsel and Jennifer Scharf, Esq., Co-Chair Health Law Committee MSCE. Have you had a local meeting with your legislators on key legislative issues impacting physicians and their patients? Please share with us to include in future issues of the MSSNY e-news. What’s Changed for 2019 E&M Services?